Who is Justin Ryan Simpson, O.J. Simpson’s Son, Where is He Now? 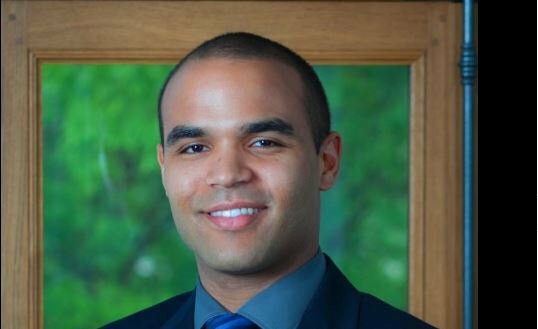 Home Celebrities Who is Justin Ryan Simpson, O.J. Simpson’s Son, Where is He Now? OJ Simpson’s tale is one of the most popular stories in the United States, but one part of his tale that is mostly left unsaid is that of his children including Justin Ryan Simpson. The younger Simpson is a real-estate agent who has risen through the storms of the ill fate that befell his father and the loss of his mother, to become a success for himself. Here is all you need to know about him. Who is Justin Ryan Simpson? Justin Ryan Simpson is one of the three living children of O.J Simpson- a well known NFL player, media personality and actor. His mom was Nicole Brown Simpson who was gruesomely murdered in their home alongside her good friend Ron Goldman. Justin was born on August 6, 1988, and is of a black heritage. From the union of both his parents, Justin has a sister named Sydney Brooke Simpsons (born-1985). However, he has three other half-siblings from his father’s previous marriage to Marguerite L. Whitley including Arnelle L. Simpson (born-1968), Jason L. Simpson (born- 1970), and Aaren Lashone Simpson (born-1977). He never had the privilege of meeting Arnelle as she drowned two days before her 2nd birthday in the family pool while Aaren died sometime in 1979. Trouble never seems far from the Simpson family and as such Justin had a rough and tragic childhood; he lost his mother to the cold hands of death in a murder case that has remained unsolved till date. He also watched his dad go through accusations and trials as the only suspect in the murder investigation for who killed his mother. Due to this, it is easy to understand why he would keep a low profile until he was ready to emerge as the successful businessman and real estate manager we know him to be today. Justin’s parents have got to be among the most interesting people in the US. His father O. J Simpson was born on July 7, 1947, as Orenthal James Simpson and was single-handedly raised by his mother after his parents got divorced in 1952. Made a success of his younger years and is now a retired professional NFL player, an actor, a media personality and a convicted robber. As an NFL player, he did amazingly well and played as running back for the NFL Buffalo Bills. O.J’s first marriage was to Marguerite L. Whitley in 1976 but they got divorced her in 1979 after having three children two of who are dead. While he was still married to Marguerite, he started an affair with Nicole Brown who he met at a club and the two eventually got married in 1985. Their union produced two offsprings- Justin and Sydney Simpsons but they couldn’t keep up to their marriage vows and finally got divorced in 1992. Two years after her split from O.J, Brown met an untimely death and was found dead in her home having been murdered by an unknown culprit on June 12, 1994, alongside her friend Ron Goldman. Upon her death, her ex-husband O.J Simpson was taken into custody as he was the only person who it seemed had a motive to want her dead at the time. He was sent to jail and after a period of eight months, he was acquitted as a result of The People Versus O.J Simpson: Trial of Century. Despite being acquitted of all charges, there have been a lot of controversies insinuating that O.J has a hand in the murder of his ex-wife and friend. Moreso, a poll taken in 2016 showed that 83% of white Americans and 57% of black Americans believe O.J was guilty of the murders but we know for sure that the Law takes precedence over people’s choices. On September 13, 2007, after his release from jail, O.J Simpson was arrested again for criminal conspiracy, kidnapping, assault, robbery and the use of a deadly weapon. He was found guilty after so many hearings and was later imprisoned. He spent nine years behind bars and was released on October 1, 2017. While O.J was in custody, Sydney and Justin lived with their grandparents but later relocated to Florida to stay with their dad after he was declared innocent of the murder charges. At first, it seemed like all was well that ended well, nevertheless, some records have contradicted this implying that Justin Ryan Simpson has a sweet-sour relationship with his father and has not spoken about him nor his acts publicly even until his most recent release. In 2017, while his father was waiting for the parole board’s decision, eyes were on Justin to know how he really felt about the news. However, he was seen exiting Walmart in St Petersburg and didn’t seem to care about his father’s parole news. 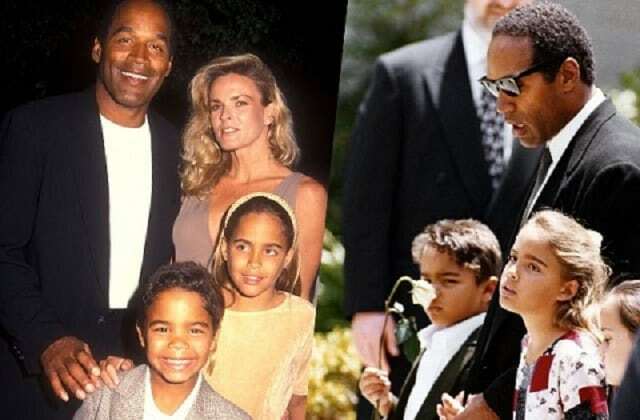 Moreso, records have it that none of O.J Simpson’s children attended his parole hearing except for his longtime girlfriend Tom Scotto. Justin finished from the Florida State University and is doing well in real estate business. He currently works with Coldwell Banker Homes as a realtor and he specializes in listing, short sale, and being an intermediary between buyers and sellers of homes. Justin Ryan Simpson currently lives in St Petersburg alongside his sister and half-sister- Sydney and Arnelle where they are busy expanding their trades in real estate management. The trio once established a company Justin Communications which is currently not active, they have also maintained a low profile, keeping away from the media.